On a truck packed with furniture, a mother is telling her daughter that their new home is on “Happiness Road”. A little girl, with her eyes wide-opened, asks: “what is happiness?” Hearing this question, the father is excited that he gets a precocious daughter: “she will become a philosopher some day!” The down-to-earth mother gives a straightforward and practical answer instead: “happiness is when you have enough to eat and a roof above you.” This is how Taiwanese director Sung Hsin-Yin opens her film “On Happiness Road”, a recent animation wonder from the island. The little girl is our protagonist Chi (Lun-Mei Kwei). She was born on the day when the dictator Chiang Kai-Shek died and grew up during the period when the Taiwanese people finally took down the authoritarian government and established democracy. 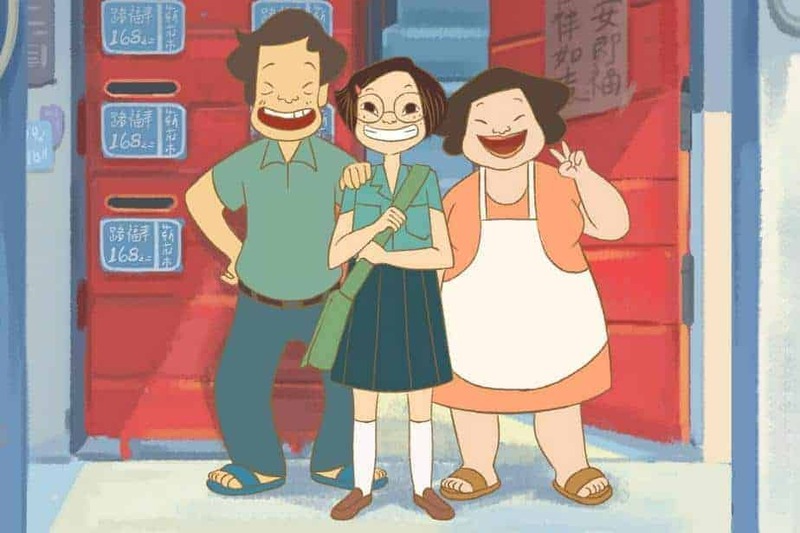 The story kicks off when the adult Chi went back to Taiwan from the U.S., after she heard the news that her beloved grandmother, who happens to be an indigenous Taiwanese, has passed away. When we first meet the adult Chi, she wakes up in a grey bedroom in a suburban house in the states. It seems like she is living a typical American middle class life. (Perhaps, she has fulfilled her American dream?) But from the color palette and mise-en-scène (a picture of her husband and her is on the counter, but it seems like only Chi is living in the house), we sense that there is something missing in her life. After she gets back to Taiwan, she has to face her aging parents and their unpleasant living conditions. Also, she reunites with her old school friend, an American-Taiwanese girl Betty. The narrative develops mostly out of Chi’s interactions with these people. As the director Sung has pointed out in her statement, the film is about a young woman who starts to reflect upon the fairy tale she used to believe in. It is through this reflection, Sung states, a person can grow. In other words, the film is introspective. Perhaps this is why the film is mostly told through Chi’s reflections (though we also hear Betty’s narration and reflection as well), which are mostly prompted by her encounters with relatives or old acquaintances. Unlike most of the mainstream animation, this film doesn’t have an obvious villain. Moreover, our hero Chi doesn’t have a goal that she must achieve. In contrast to our usual cineplex fare, “On Happiness Road” begins at the moment where our hero has already achieved her childhood dream: to live in America and to marry her prince charming. As I’ve noted, the movie shows us rather quickly that achieving one’s childhood dream doesn’t guarantee that one can live “happily ever after”. The film seems to be suggesting that happiness will not be guaranteed by following the well-trodden path. Repeating clichés won’t give us the life we truly need. If “an unexamined life is not worth living”, the story is showing us how one might embark on this journey. Despite its cherry title and cute character design, “On Happiness Road” is not a fairy tale with a happy ending. It attempts to show how individual lives are deeply intertwined with political events. On one level “On Happiness Road” is a political allegory, in which we can read Chi as the symbol for the Taiwanese people and the work of art can be understood as a critical commentary on the Taiwanese political, cultural, and social condition. Some Taiwanese critics have read the film in this light. The most brilliant one is by the Taiwanese critic Ping-Hao Chen. If you can read Chinese, I highly recommend reading his work. I will only briefly point out some of the highlights from that article here. Meticulously untangle the web of political allusions and symbols, Chen argues that the film presents a leftist and progressive agenda for the Taiwanese independence movement. Traditionally, the independence movement was ethnically Han-Chinese-centric and rather patriarchal in its leadership and attitude towards other progressive issues, such as women’s or indigenous people’s rights. Chen argues by creating strong female characters and with intricate directorial decisions the film provides a feminine, if not feminist, and leftist critique of the independent movement. The film is leftist because of one book that is frequently referenced throughout the film. Later in the film, Chi is politically awakened by her older cousin Wen (voiced by director Te-Shen Wei). The book Wen gives to her in a fantasy sequence is Su Beng’s, a living legend himself, “Taiwan’s 400-Year History”. A classic in Taiwanese historical writings. What makes it different from other early historical account of the island is that it was written from a Marxist perspective in the time where marxism is censored by the authoritarian Chinese nationalist KMT government. The film is also deliberately multicultural. 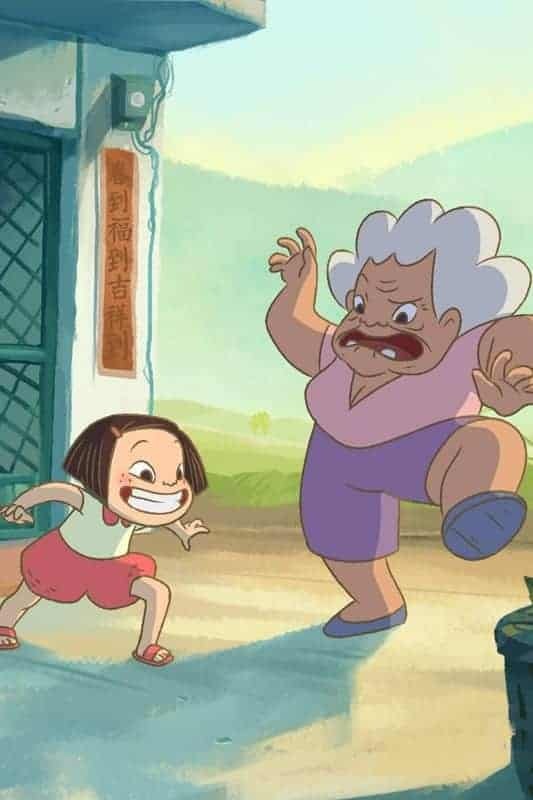 For instance, the aboriginal grandmother shows Chi that the children who laughed at her because she has a “barbaric” grandmother are ignorant and wrong. Also she performs an indigenous ritual to calm Chi when she is having nightmares. “Happiness” also offer a subtle critique of the U.S.- Taiwan relationship. 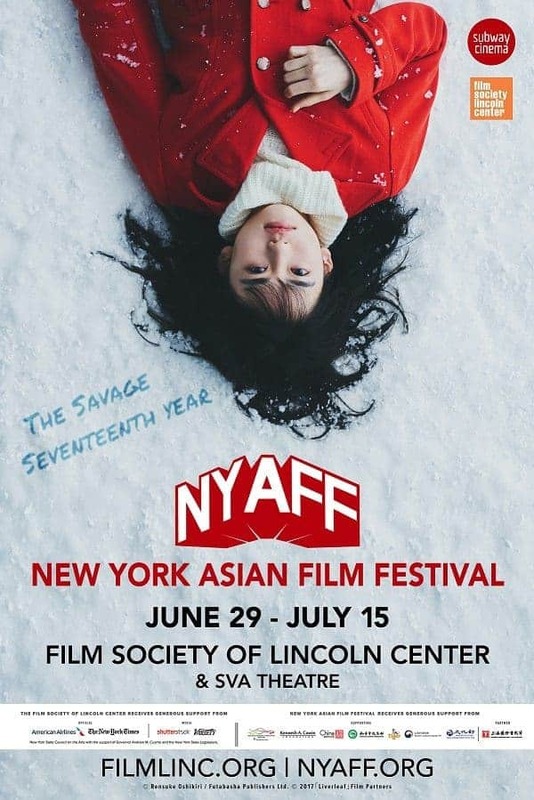 At the end of the film, Chi refuses to reunite with her estranged American husband Anthony and decides to raise her unborn child in Taiwan with the help of her parents. Chen argues that this could be read as a subtle critique of Taiwan’s over-reliance on the U.S.
Viewers who are not familiar with the post-war Taiwan history might find some parts of the film incomprehensible. This is not a flaw of the narrative. On the contrary, this is what gives “On the Happiness Road” its unique texture and density. If one wants to have a quick grasp of the major events of Taiwanese history, BBC has a useful timeline to guide the uninitiated through the maze of the past hundred years of Taiwan. A Taiwanese animation group Taiwan Bar has also adapted their popular Taiwanese history YouTube series into English. That being said, the film is not merely a “national allegory”, where the protagonist’s fate is tightly linked with the destiny of the nation. The film also touches upon some more universal themes, which I believe audiences from all over the world can relate. One of the major tasks almost every character has to face is their relationships with their parents’ expectations. Chi needs to defend her wish to study history and philosophy instead of medicine, which is her parents‘ plan for her. Yet, parents’ expectations are not necessarily a bad thing in director Sung’s world. Betty, after realizing that her American father has long abandoned her mother and her, can only make ends meet by dancing and playing piano at different nightclubs. Ironically, these are all taught by her mother. The film doesn’t make this clear, by I suspect that Betty’s mother believed that by teaching her daughter piano and Western-style dancing, Betty could be easily accepted by the U.S. society. We cannot do away with what we’ve received from the previous generation. Whether we like it or not, we are defined by our relationships with these legacies. Animation has the power to show us the fantastical world. “On Happiness Road” is a one of those rare works that can show us how fantasy is deeply embedded and enabled by geo-, political-, and economical structures; and how individual can zig-zag through the massive constraints and find her own way to live.